Hungarian apocalyptic folk band Cawatana returns to the roots with a special release. The purpose of this new CD is to collect onto one album all the songs from (mostly long sold out) compilations, vinyls and split releases that have been written and published in the first 15 years of the band’s existance. ALL songs have been especially re-recorded in 2016 (some of them have been slightly reworked), additionally a new (previously unreleased) version of an old song has been recorded for this release. 10 songs in the "classic Cawatana style": acoustic guitar-based neofolk with martial industrial and neoclassical influences, with the classic lineup of the band including both founding members Kiss Balazs and Sörös Gergö. 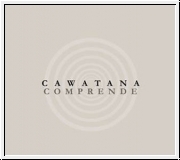 For all of those who miss the old sound of Cawatana.